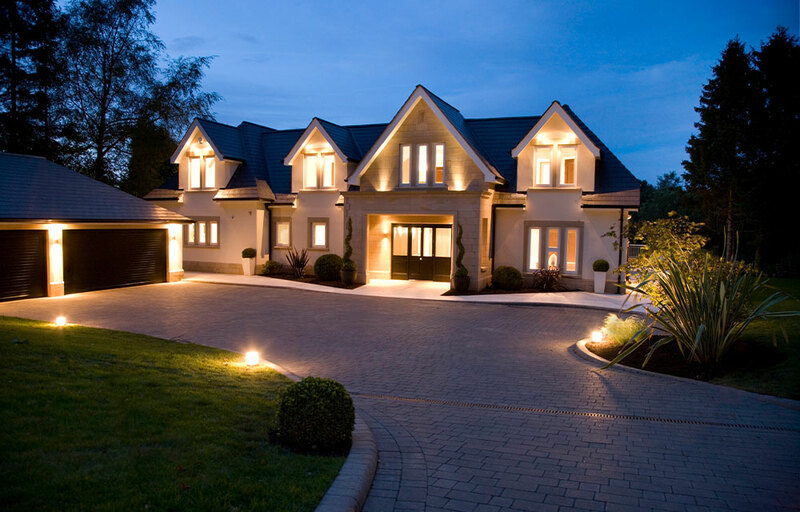 This scheme consisted of demolishing an existing property to create “Oakdene”, a five bed / four bath, 9,000sqft new build home for Huntsmere’s clients, in a modern ‘Arts and Crafts’ style, with detached garage and new Leisure Suite. 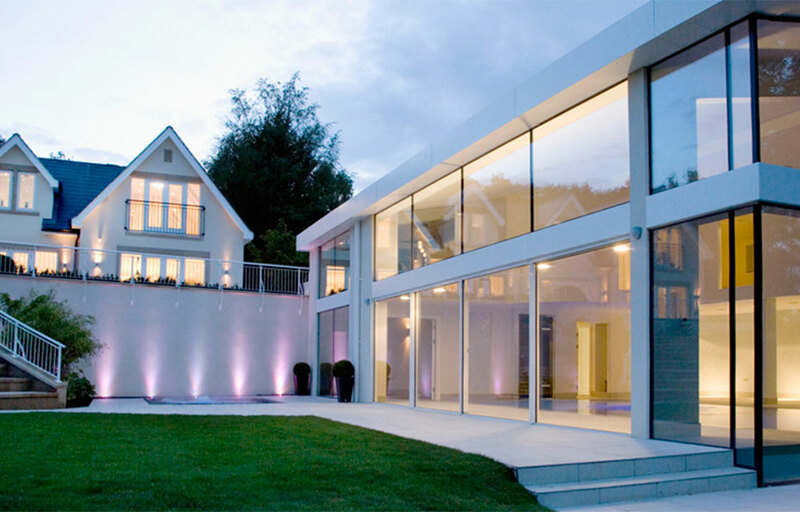 Set in extensive two acre gardens in Prestbury’s Castle Hill area, the main dwelling runs through three floors, including a unique top glazed walkway all below-ground, linking the house to the Leisure Suite. Main living accommodation comprises feature galleried entrance hallway, open plan kitchen, breakfast and living areas, dining room, formal lounge, cinema room and study. At first floor, master bedroom with en-suite, his & her dressing and four other bedrooms with individual en-suite / dressing. 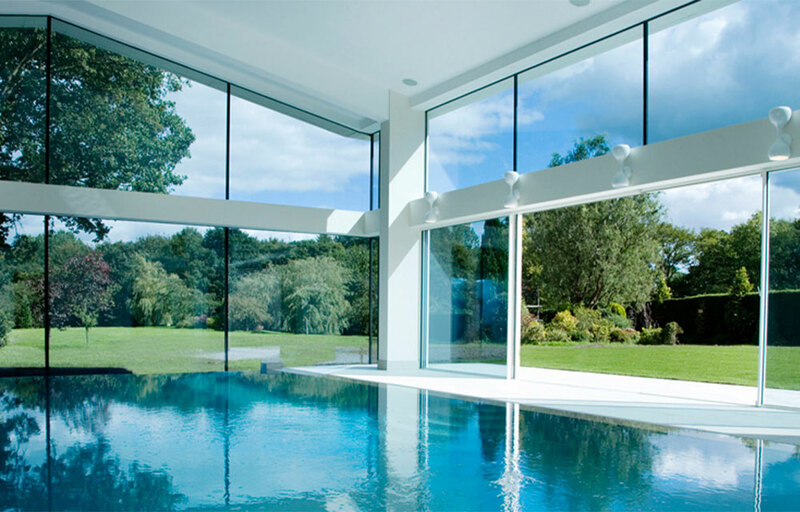 The contemporary Leisure Suite is on two floors, including a large 10m x 4.5m heated infinity pool, gym, poolside bar, lounge, steam / sauna room and changing areas. The mezzanine floor has a galleried landing over the pool with guest facilities.